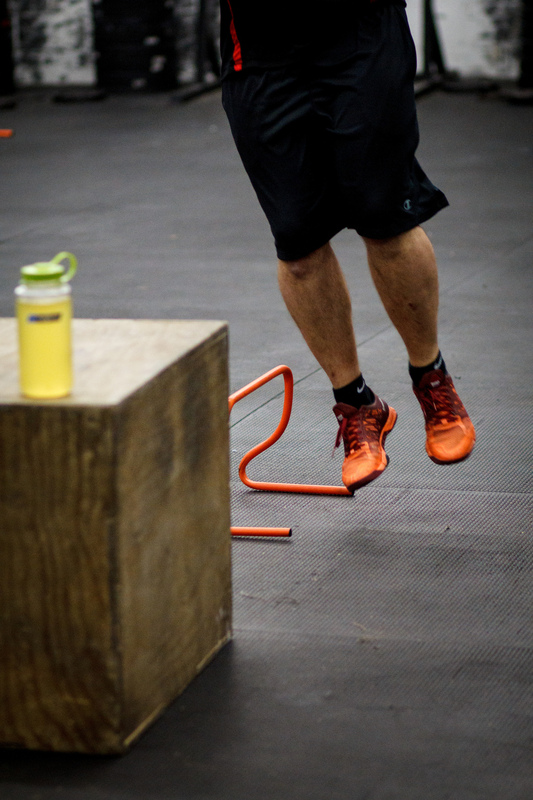 The first time I tried CrossFit, in a different city at a different gym, it was terrible. Members mostly treated new people like a nuisance, and the instructor ignored what I said I thought I could do and had me do exercises I wasn’t physically ready for. I ended up badly injuring myself on day two. I limped out of the gym and I swore off CrossFit as being a hobby for fanatics or idiots. A friend gave me some advice that not all CrossFit gyms are the same, and that I should try again but test out a few to see if I could find one that I liked. I started calling/emailing a few CrossFit gyms near where I work. Some never replied, some told me I could come by, jump in, and “try to keep up”. Only one, CrossFit Somerville, asked me to come in and meet some people and talk about my goals. When I arrived, I met a guy with blue hair dressed like Macklemore. His name is JT, and he is the owner. He asked me a number of questions about me – what I thought I was capable of at the time, what I’d like to accomplish, what old injuries I might need to rehab from. It was pretty clear that he was genuinely interested in helping me get better. He also agreed that from where I was starting physically, I’d need to spend some time easing into CrossFit. 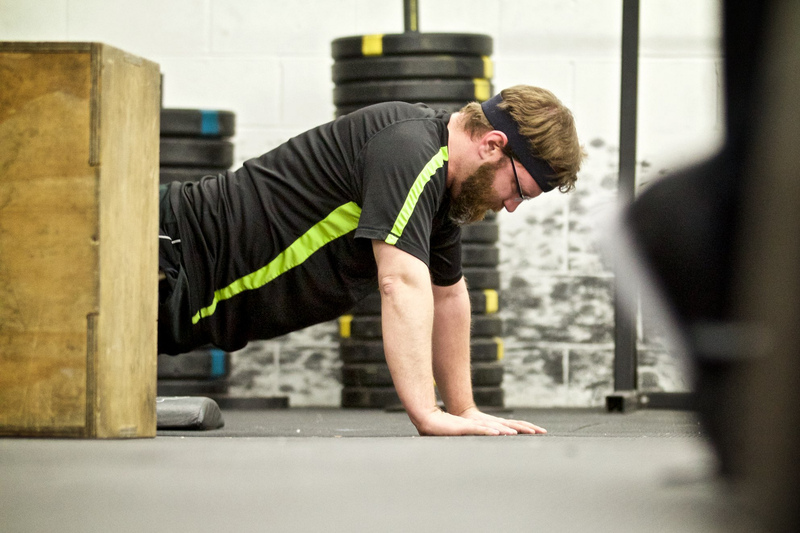 I initially decided to try CrossFit again at CFSV for a month, two days per week. By any measure, I was in terrible shape. It took me until week 3 until I could finish even a scaled-down version of the daily workout (WOD). But, no matter how sore or tired or embarrassed I was, the people and instructors have made all the difference. The workouts are hard – intentionally. The people make it feel easier. How much they enjoy being there and how much fun they have makes you want to keep coming back. There are days we spend as much time laughing as we do lifting, and we lift a lot. For me, a month of two days per week was followed by a month of three days per week, then four, until finally I found myself there every Mon-Fri. Picture a full 80s teen movie montage, complete with a workout or two on the roof of the building to a ridiculous soundtrack – because that happened too. It’s now been 19 months since I started, and I’ve been to CFSV almost 300 times. I’m stronger. I don’t get miserably sore from the workouts any more. I’ve lost nearly 40 pounds. Last summer, I ran ToughMudder, BattleFrog and Spartan obstacle course races and I have more planned for this year. The idea of being capable of that two years ago was laughable. But that probably isn’t the best measure. My gym notebook not only has personal bests, it has birthdays and inside jokes. I look forward to seeing friends reach their deadlift goals or make their first pull-ups more than reaching some of my own goals. When I joined CFSV, what I really I gained was a fun, quirky community complete with a rooftop garden, rooftop bees and chickens in the back alley. You should come by, and try and get your own 80s movie montage started. If you stay with it, in a few different ways, this place can make you feel better.